Helps kids learn their letters and numbers with speech and sounds. Is there a better alternative to Easy as ABC? Is Easy as ABC really the best app in Language category? Will Easy as ABC work good on macOS 10.13.4? 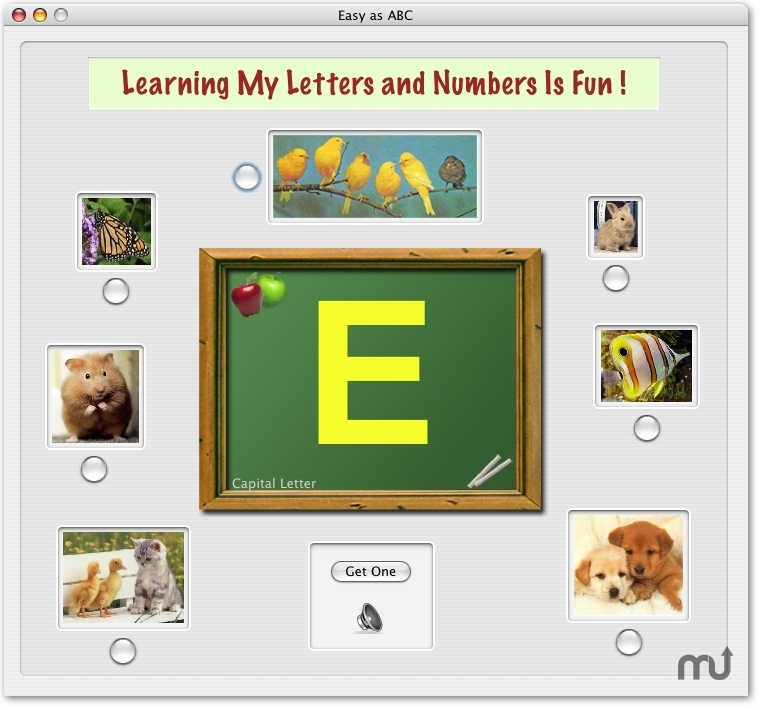 Easy as ABC helps young people learn their letters and numbers. The program uses the Mac's speech and sound capabilities to make the learning process fun. Easy as ABC needs a review. Be the first to review this app and get the discussion started! Easy as ABC needs a rating. Be the first to rate this app and get the discussion started!